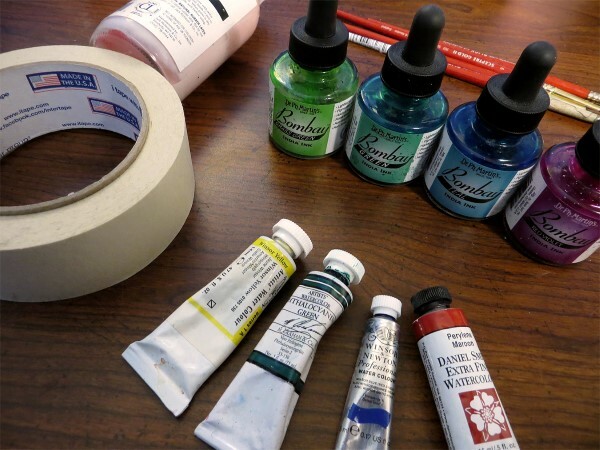 Have you ever wanted to learn how to paint the easy way? I love the look of watercolor painting but I admit that I find it a bit intimidating to get started with. It’s probably been 20 years since I dabbled in the light touch of water and paint, finding myself more at home with forgiving acrylics. Then I discovered the work of artist Dana Martin, who takes inspiration from nature and brings it to life with a dab of paint and ink. 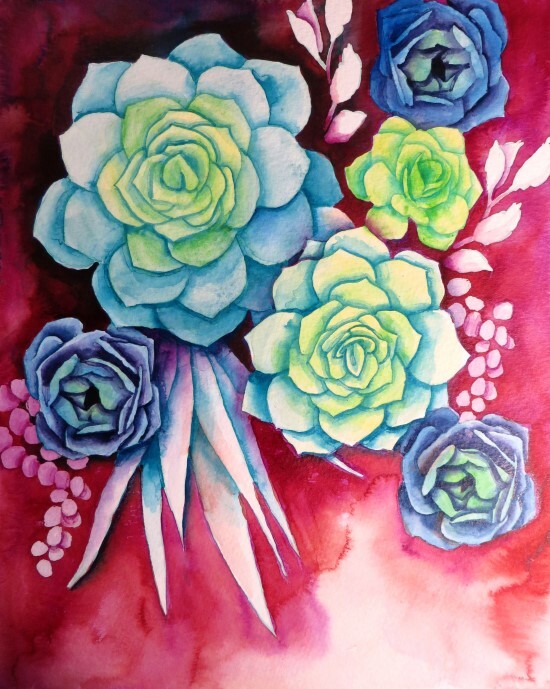 Dana has agreed to show us the steps to make your very own watercolor succulents painting. The best part? She has started the piece for us by creating a download of the image to get us started! 8.5”x11” or 9”x12” sheets* of 140 lb. watercolor paper (for this demo, I used a sheet of Canson Montval). Because I like to use rich, dark colors in my art, I work with artist-grade, highly pigmented paints. I use inks as well as watercolors because the inks are permanent once dry; they won’t bleed if you paint over them. That said, you don’t have to have fancy paint to make art. Use what you have on hand. This project can be done with as little as a basic watercolor pan set. The colors will probably not be as dark as those shown here, but you can still paint a beautiful watercolor. 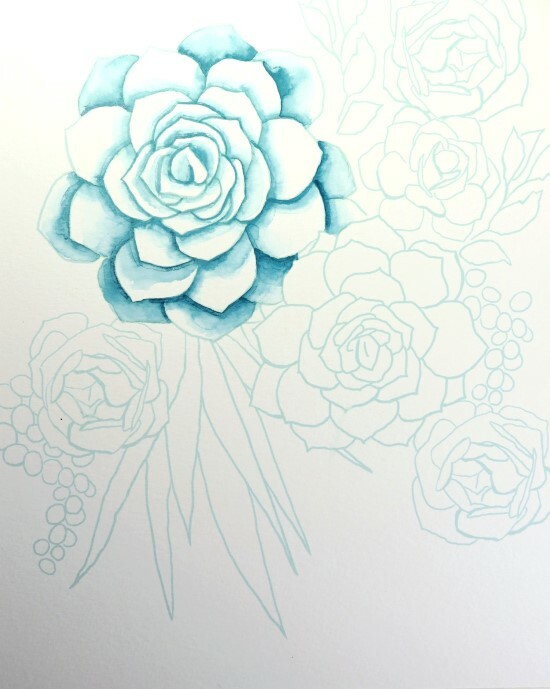 Note: in this demo, I describe the steps I went through to create my version of the Watercolor Succulents painting, but it is just one of countless ways this painting could be done. While I hope this demo is useful to you, it is a guide only. There is no wrong way to make art. Every painting is unique, and when you paint, you get to make the choices! 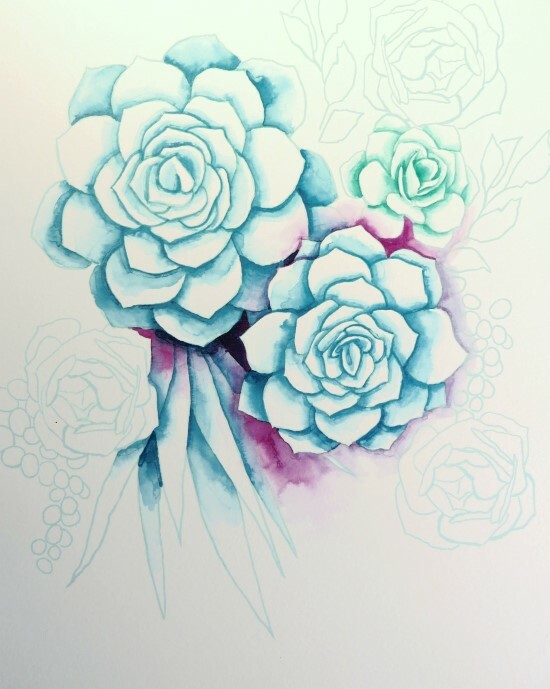 First, print the Watercolor Succulents image on the watercolor paper. To do this step: use the link below to see the file, then save it to your computer. Remember where you saved it so you can access it again. Print the page and you are ready to get started! You can choose from a light blue or light sienna design. To prep for painting, tape the paper to the work surface so it won’t buckle when it gets wet. Use the guide dots in the corners to align the tape. The tape should be placed so that it just barely covers the dots. Nearly the entire painting is done with one basic watercolor technique: fading edges. Be sure to have two brushes on hand for this — a fine pointed brush to apply the color (Teal ink) and a slightly larger brush to apply clean water. 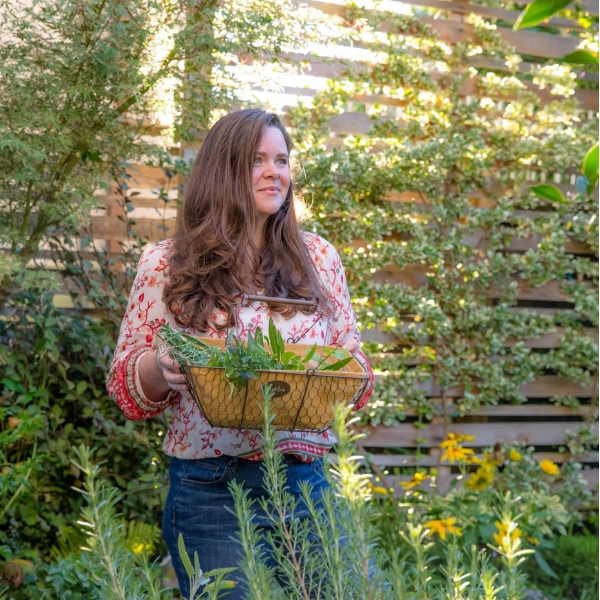 To fade the edges of the succulents, lay down a brush stroke along the edge of each leaf, and then immediately go over the outer edge of that brushstroke with the clean wet brush so that the color fades out. 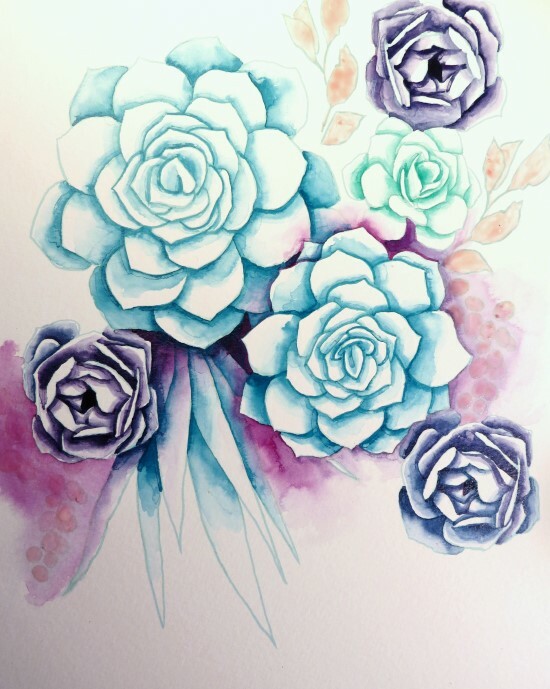 Define more of the succulents with Teal ink and the same fading edge technique. Lay in a little Red Violet ink for contrast. Then, switch to Green ink for the next succulent. 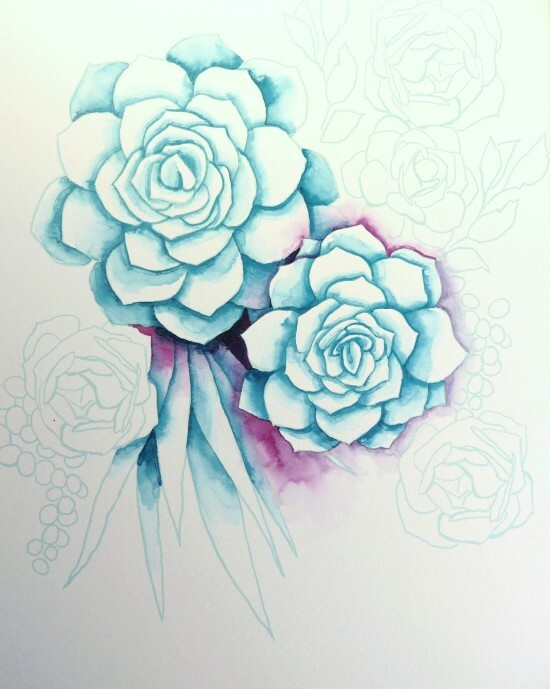 Mix Teal ink and Red Violet ink to paint the next three succulents. There are two small areas in the painting with little round leaves. 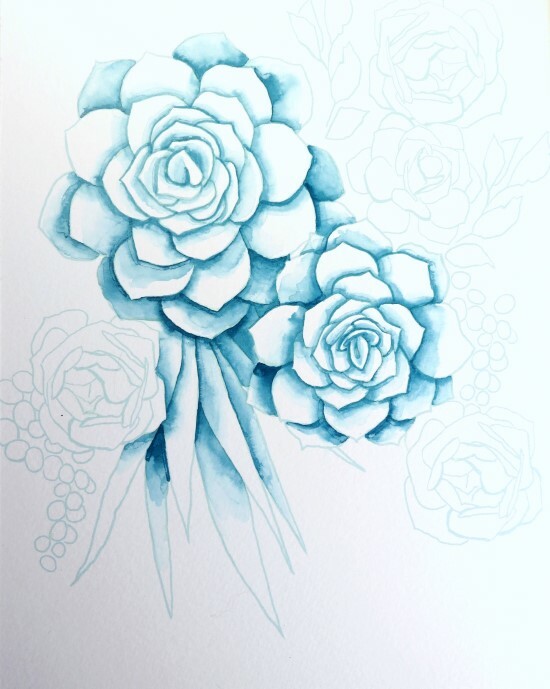 Paint over these with a light wash of Red Violet ink, and when it is dry, cover the little round leaves, as well as the two branches of leaves in the upper right corner, with masking fluid. Use cheap old brushes to do this and wash the brushes immediately afterward because the fluid will ruin them if it dries on the bristles. Note: masking fluid saves time, because once it dries you can paint over the entire sheet of paper without worrying about getting paint in the wrong places. 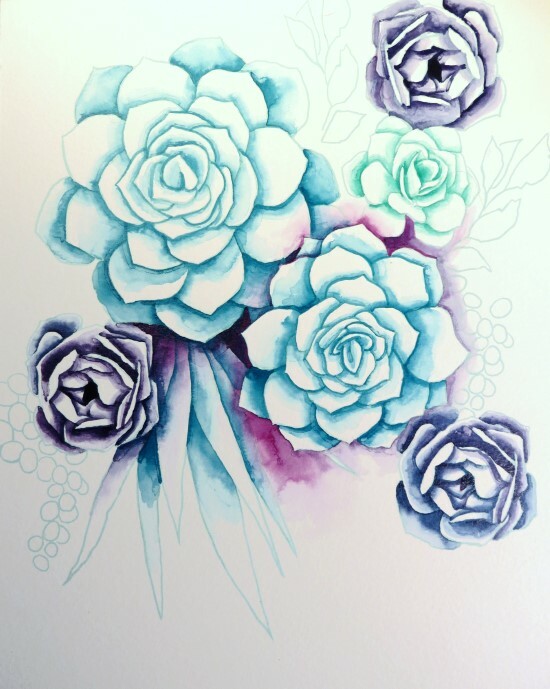 Masking fluid contains latex and is slightly toxic, so be sure to work in a ventilated area while applying it. 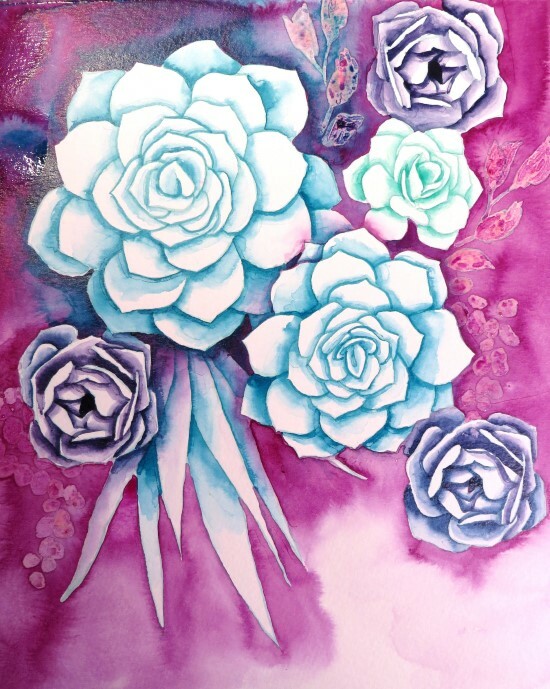 If you are doing this project with children or you simply prefer not to use masking fluid, feel free to skip this step. You can always paint around the areas where you don’t want color. Now, wet the entire background with a clean wet brush, before dropping in Red Violet ink. Paint around the large succulents. If the small leaves are covered in masking fluid, you can paint over them. Leave a small area in the bottom right corner unpainted to keep the background from looking too flat. When this is dry, start giving the succulents a little more color. I used Yellow Ochre and Cobalt Blue for this, as well as a bit of Grass Green ink. To have the background look just slightly more neutral, brush over it with a wash of Perylene Maroon. When this is dry, remove the masking fluid. Start at one edge and gently pull the masking fluid off the paper. 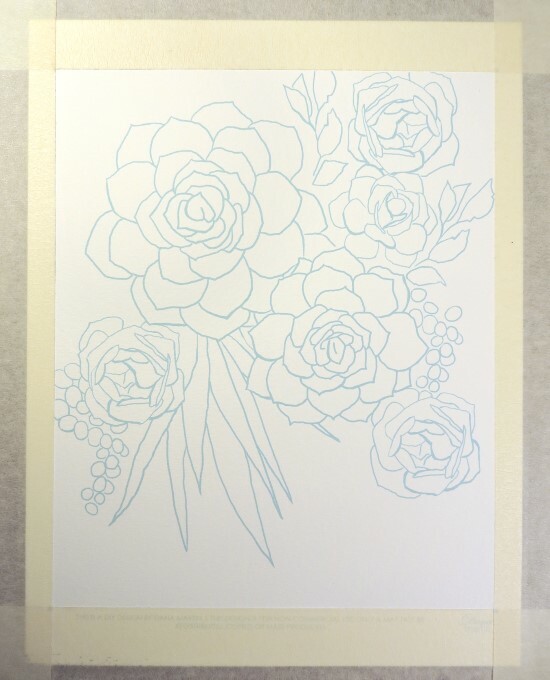 The paper can tear if the masking fluid is removed too roughly. Now for the finishing touches. The succulents need just a little more color here and there to pull the painting together. Because Red Violet is the main color in the background, use light touches of it on the succulents to unite the palette. Also, add a bit more of the Grass Green ink to the centers of the succulents. Since Grass Green is the brightest color in this palette, it makes those areas pop. The painting is done! Now all that needs to be done is put it in a mat and frame! I hope that this demo has been helpful to you and that you’ve enjoyed creating your own unique piece of art. Feel free to tweet me a shot of your new painting @DanaDraws. I’d love to see your results! Dana Martin is an artist and illustrator whose vivid watercolors explore the intersection of nature and fantasy. 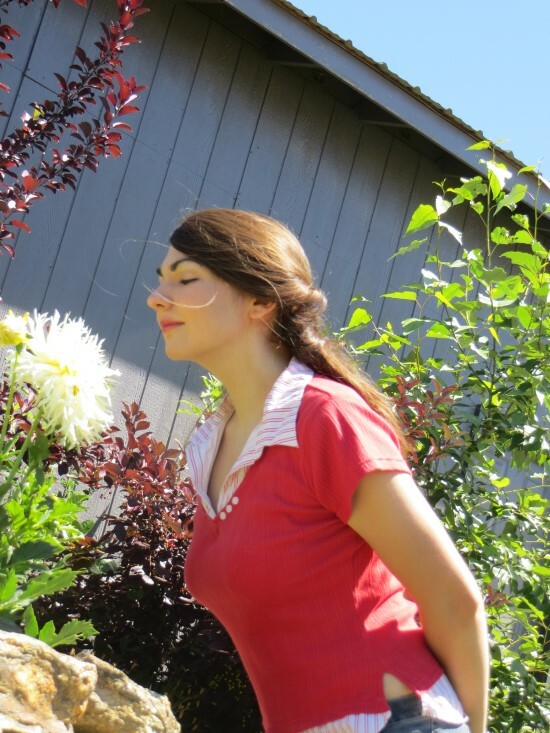 She has illustrated for several magazines, including the ‘Weeder’s Digest,’ GreenPrints. Her Etsy shop, I’ll Call You from Paris, is home to lush botanical prints, whimsical flower girl paintings, and a hoard of other small treasures. She documents her artistic adventures (and misadventures) at The Illustrated Life. 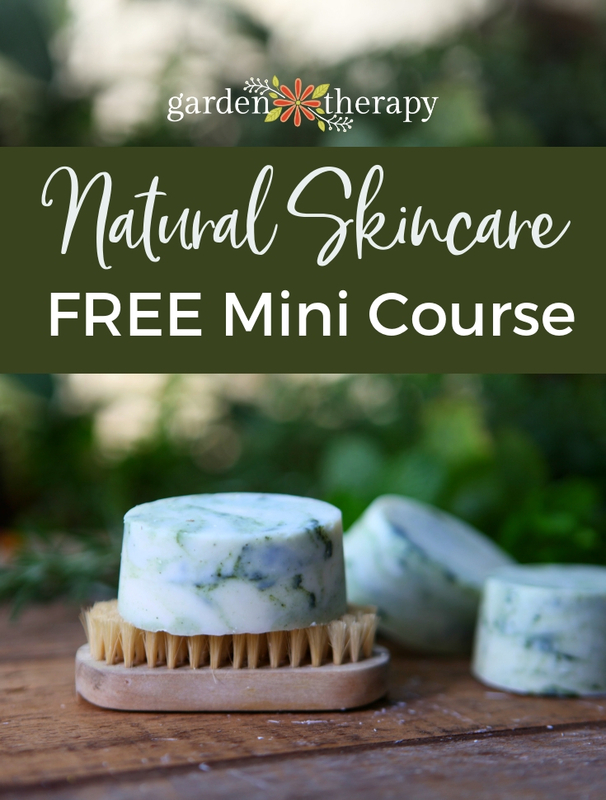 This looks so lovely and great instructions to for the tutorial. I’m visiting today from the Wonderful Wednesday Blog Hop. Those are gorgeous. It’s easy for you to say it’s easy. I don’t think I could have the same results. So glad you shared with us at Merry Monday. absolutely beautiful! i looove succulents! It s a lot like painting a coloring book page. The worst that can happen is you’ll have to start over, but the hard part of any painting is the drawing, so you can skip that part. I often do two or three paintings of a subject before I m satisfied. 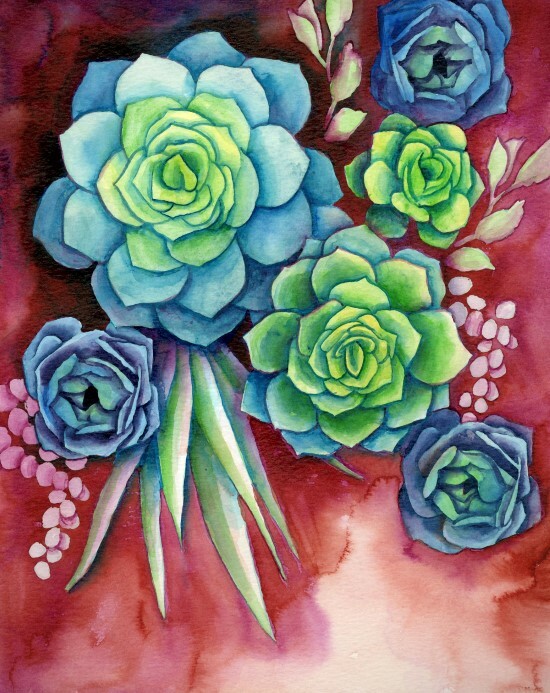 See more of my paintings in my succulent watercolor calendar or paint your own! 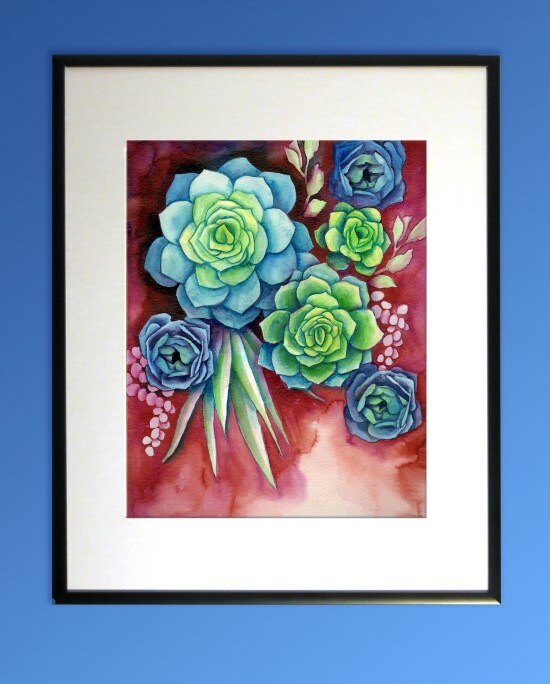 Most of them also are on my Pinterest page, Succulent Watercolors . Enjoy! The free printable for the succulents says it was disabled. Hi Debra, the link is updated now. Sorry for the trouble!